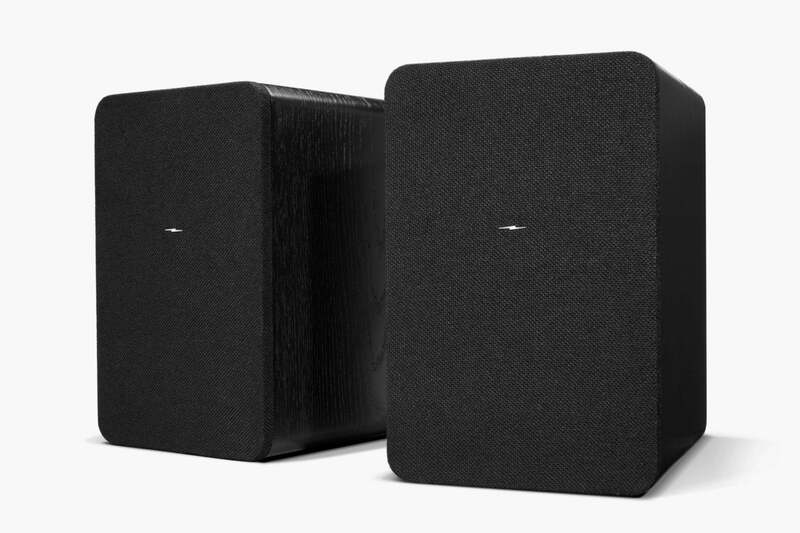 Compact design, excellent performance, and versatile connectivity render these monitors a must-hear collaboration. Made in America is a strategy that’s working for Shinola, a seven-year-old company offering an improbable mix of high-end products—ranging from luxury wrist watches and leather goods, to bicycles and home audio gear—incongruously marketed under the brand of a famous shoe polish. Shinola collaborates with other U.S. manufacturers on many of its products, as it’s done here with its second set of powered bookshelf speakers, named simply Shinola Bookshelf Speakers. 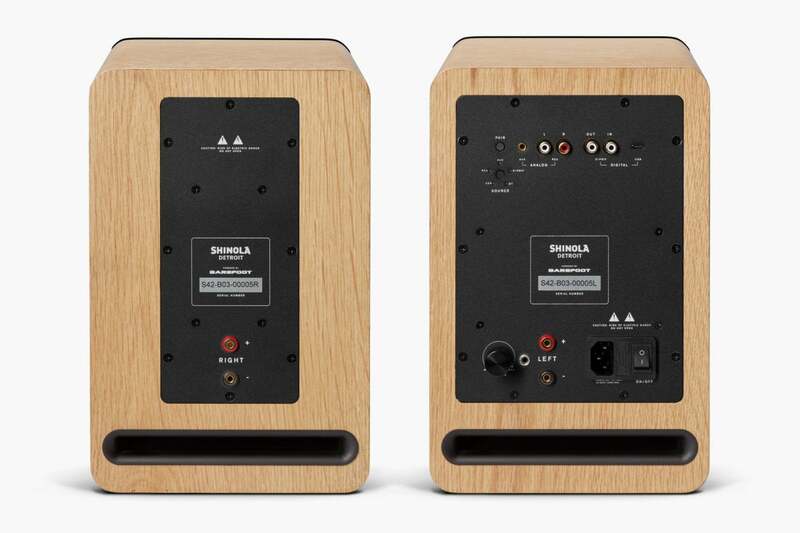 Shinola’s partner on this endeavor is Portland, Oregon’s Barefoot Sound, a speaker manufacturer that has heretofore specialized in designing and building professional studio monitors and doesn’t have any consumer products of its own. In keeping with Shinola’s Made in America ethos, the speakers are designed, built, and tested in Portland. Shinola Bookshelf Speakers are self-powered two-way speakers, with a 100-watt-per-channel Class D amplifier driving a 6.5-inch high-excursion alloy cone woofer and 1.0-inch soft-dome tweeter with a dual-ring radiator in each cabinet (Shinola declined to say what material the tweeter is fabricated from). The company reports the speakers’ frequency response range as 48Hz to 22kHz, +/-3dB. The speaker housing the amplifier offers every analog and digital input you could hope for, with the exception of Wi-Fi. The speakers are enclosed in composite cabinets finished with oak veneer (your choice of a natural finish or black paint) and magnetically attached cloth grills. There’s a 6.75-inch bass reflex port in the back of each cabinet. 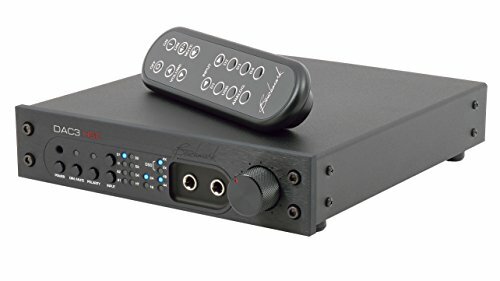 You can feed these speakers with almost any source you care to, since the enclosure housing the amplifier is outfitted with a Bluetooth 4.0 radio capable of decoding the aptX codec, a 3.5mm analog stereo input, RCA analog stereo inputs, coaxial S/PDIF (in and out, should you want to use an external DAC, such as the recently reviewed Benchmark DAC3 HGC), and USB-C. The only connectivity option you don’t get is Wi-Fi. Placing all connectivity on the back of the active speaker makes sense, but Shinola’s decision to not include any controls on the front of the enclosure can be frustrating when you want to adjust the volume or switch the input source. Powering the speakers up is a two-step process in which you first press a toggle switch to provide power, and then press the Source button to choose the input you wish to use. Three seconds later, the speaker produces an audible thump that was loud enough to scare the cat. Shinola tells me they’ve since reduced the volume of this alert tone so it’s not so startling. If two hours pass without an input signal, the speaker goes into standby mode. But there is no mechanism to automatically bring the speaker out of standby when you resume playback—you’ll need to press that Source button again and re-encounter that thump. LEDs encircling the Source button helpfully inform you which input is active, but you’ll need to spin the cabinet around to see them. 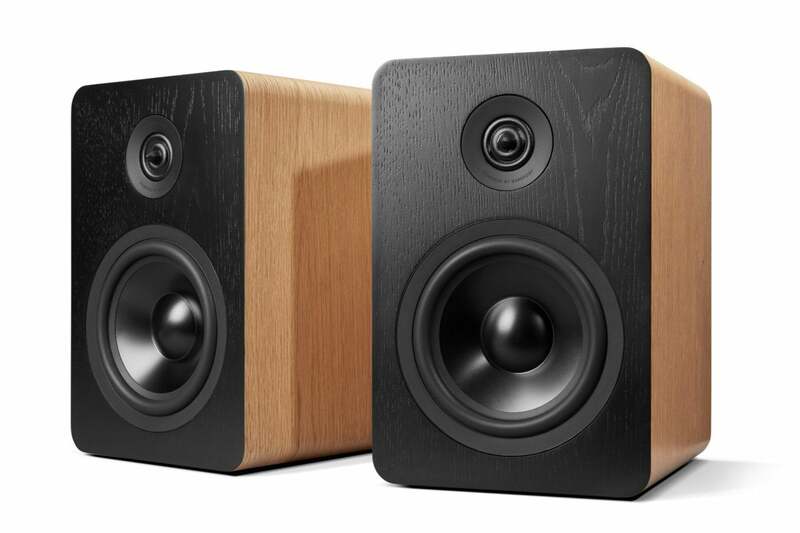 Shinola Bookshelf Speakers, which are also available in a black paint finish, consume a minimal amount of shelf space (they measure 8 inches wide, 9 inches deep, and 12 inches high), yet deliver detailed, dynamic, and room-filling sound. Once you’ve gained some familiarity with the speakers, you’ll probably be able to just do a reach-around to spin the volume control, and you might memorize how many button presses it takes to switch from Bluetooth to coaxial S/PDIF or whichever input you desire. Be prepared to be annoyed in the early going, but rest assured that emotion will be washed away quickly once you start listening. I found the speakers’ accurate, articulate nature especially pleasing when playing new streaming stuff via my iPad Pro from the likes of acoustic pickers The Punch Brothers (All Ashore), and the long-awaited return of smooth samba jazzbo Michael Franks (with The Music in My Head). Equally adept in the electric and symphonic zones, these speakers rocked my world with the latest release from The Rolling Stones’ “From The Vault” series of concert recordings: No Security. San Jose ’99. They royally pumped the bass and drama of hip-hop talent Kendrick Lamar’s DAMN. And they nearly blew up the house reproducing John Adams’ dark mod opera about the creation of the A-bomb, Dr. Atomic. Set-up tip: Peel off the Shinolas’ grills for the brightest sonic fireworks. And while the maker suggests positioning the speakers at ear level, I preferred the added low-end response achieved from mounting the 17.55-pounders (the passive speaker weighs 16.35 pounds) on an actual bookshelf, hovering a couple feet over my head. I found this improved the coupling with the wood floor below. Truth is, every room is a little different, and best placement is a fun game to play. Note that the speakers don’t have threaded mounts, and Shinola currently does not offer stands for them. Shinola's aesthetically matching, belt-driven Runwell turntable ($2,500) is available in three finishes. I also hardwired the speakers to an Audio Technica AT-LP60 turntable, which has an integrated pre-amp with a line-level output, and a Yamaha BD-A1040 Blu-ray player to check out some of my go-to speaker-test recordings, including the imported high-resolution Blu-ray disc version of Bob Marley and the Wailers’ hits collection, Legend, and the third CD in Dire Straits’ discography, Making Movies. To ensure I tested every input, I also linked a Samsung Galaxy 8 smartphone to the Shinola’s USB-C input, using the included 40-inch USB-C cable, to enhance the playback of Amazon Prime Video soundtracks. Shinola declined to identify the onboard DAC, but they say it’s capable of handling tracks encoded with up to 24-bit resolution and sampling rates as high as 96kHz. 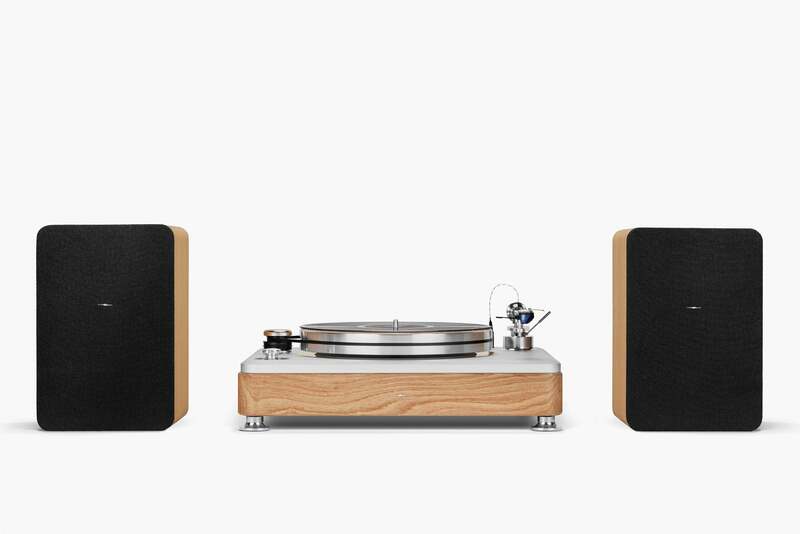 Shinola Bookshelf Speakers sound as elegant as they look, and while there might be a whiff of luxury tax in their $1,500 price tag, that’s not an outrageous ask for audio components of this quality. My Shinola contact also hinted that my complaint about the rear-panel volume control might be mitigated by the offering of an optional accessory related to the currently non-functional jack labeled Remote Volume. It would be even better if that accessory could bring the speaker out of standby mode and switch inputs, too. But the bottom line is that these speakers sound so sweet that owners will quickly forget about the rear-panel issue, whether or not Shinola ever delivers that accessory. Shinola’s compact, minimalist self-powered speakers offer big, bright, and bold performances from almost any source, analog or digital, hardwired or via Bluetooth.